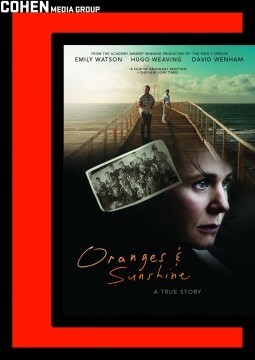 Oranges and Sunshine tells the story of Margaret Humphreys, a social worker from Nottingham who uncovered one of the most significant social scandals of recent times: the deportation of thousands of children from the United Kingdom to Australia. Almost single-handedly, against overwhelming odds and with little regard for her own well-being, Margaret reunited thousands of families, brought authorities to account and drew worldwide attention to an extraordinary miscarriage of justice. Children as young as four had been told that their parents were dead, and been sent to children's homes on the other side of the world. Many were subjected to appalling abuse. They were promised oranges and sunshine: they got hard labour and life in institutions.